Where Should You Go in Oregon? Oregon is located in the beautiful Pacific Northwest, and it’s bounded by Washington State to the north, and California to the South. Oregon is one of only three states in the continental U.S. to be on the Pacific Ocean, and the state is known for being geographically diverse. In Oregon, you’ll find everything including evergreen forests, high deserts, and volcanoes. It’s the perfect place to plan an RV road trip if you like natural beauty and outdoor adventure, but there are urban opportunities in the state as well. If you’re thinking about an Oregon road trip, the following are some points of interest to consider adding to your itinerary. Crater Lake National Park is the only national park in the state, and it’s in the southern part of the state. Crater Lake is nearly 2,000 feet deep at the deepest point, and it’s the deepest lake in the U.S. It’s also the second-deepest lake in North America, and the ninth-deepest in all of the world. Some of the notable features of Crater Lake National Park include the Pumice Desert and The Pinnacles, which are deposits left behind by the volcano eruption. There are hiking trails and campgrounds inside the park, and swimming is allowed at the lake. There are also boat tours of the lake. The highest point is Mount Scott, which requires a steep 2 ½-mile hike to get to the top. Cannon Beach is a city in Oregon. Haystack Rock is one of the most notable features of the beach, and there is a cave system penetrating the rock. 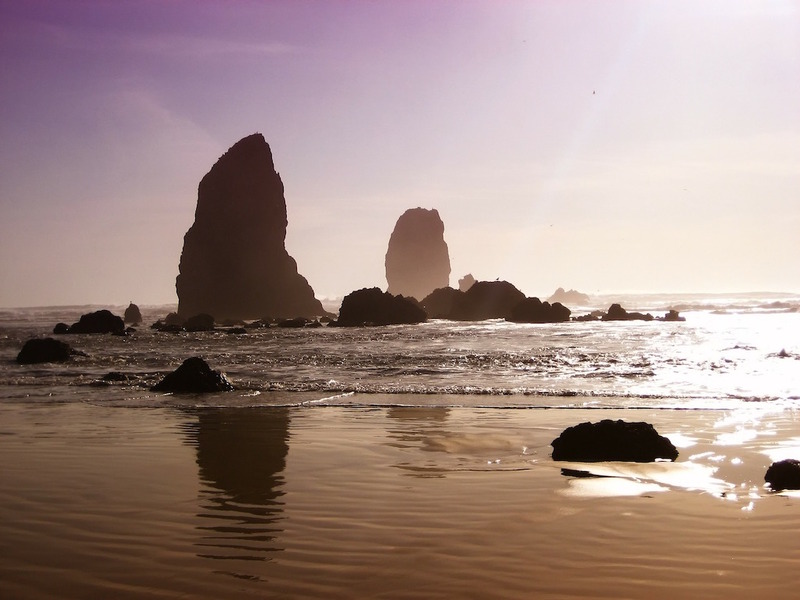 There are four parks within the city limits of Cannon Beach which include Haystack Hill State Park, John Yeon State Natural Site, Tolvana Beach State Recreation Site, and Les Shirley Park. Cannon Beach was featured in the 1980s movie The Goonies. It was also in the movie Twilight. Silver Falls State Park is a favorite place for visitors to the state. It is in the foothills of the Cascade Mountains, and it’s less than an hour east of Salem. Silver Falls is more than 9,200 acres, and it’s the largest state park in Oregon. South Falls is a 177-foot waterfall and visitors can walk behind it. The falls are part of the Trail of Ten Falls, which is a hiking trail that goes through deeply forested areas and takes you past several waterfalls. The Samuel H. Boardman State Scenic Corridor is in the southwestern corner of the state, and it makes a great addition to a coastal Oregon road trip. The Corridor is a linear park that stretches for 12 miles and features a rugged coastline, and small beaches. There are also cove beaches that are extremely secluded, and beautiful cliffs and prairies along the way. The Corridor is home to the Arch Rock and Natural Bridges, and there is the Oregon Coast Trail which goes on through the massive forests for a total of 27 miles.